Welcome home! This one story Windermere dream is located in The Lakes. A quaint community that features tennis and a private boat launch which is located on Lake Down of the pristine Butler Chain of Lakes. 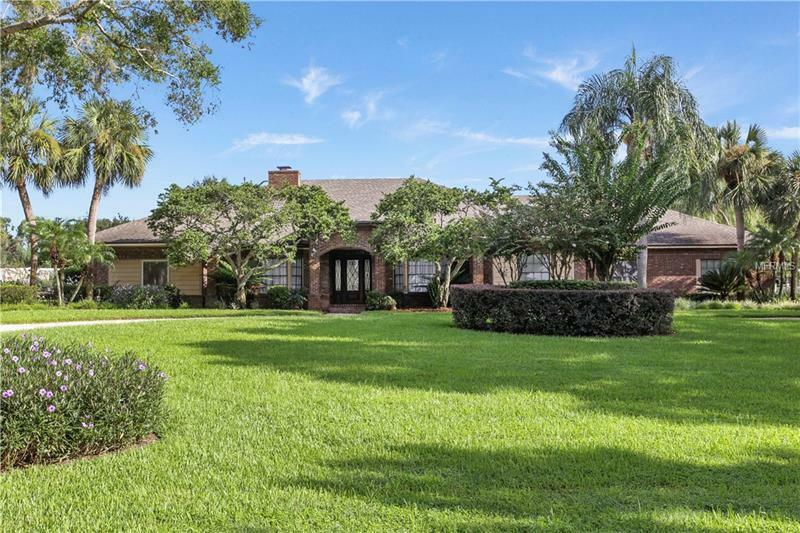 This 4 bedroom, 3 bath pool home features a flex space with endless possibilities. Gorgeous double-sided stone fireplace between the living and family rooms, the kitchen is a chef's dream with G.E. Monogram Stainless appliances, 6 burner gas cooktop, oven with warming drawer, cherry cabinets, detailed tile work, and granite counters. The owner's retreat is spacious with access to the beautiful travertine lanai and pool area. The owner's spa-like bath is perfect for relaxing after a long day with it's jetted tub, steam shower, and beautiful travertine throughout. The home is situated on over 1 acre of land with a private resort style pool, spa, and gas firepit. Perfect for entertaining. This is the epitome of true Florida lifestyle living. Call today for your own private showing.